$0 down - USDA Eligible - Cedarville Schools! Situated on the edge of Cedarville, close to the bike path and all that Cedarville has to offer. ''Like new'' home. Updates galore! 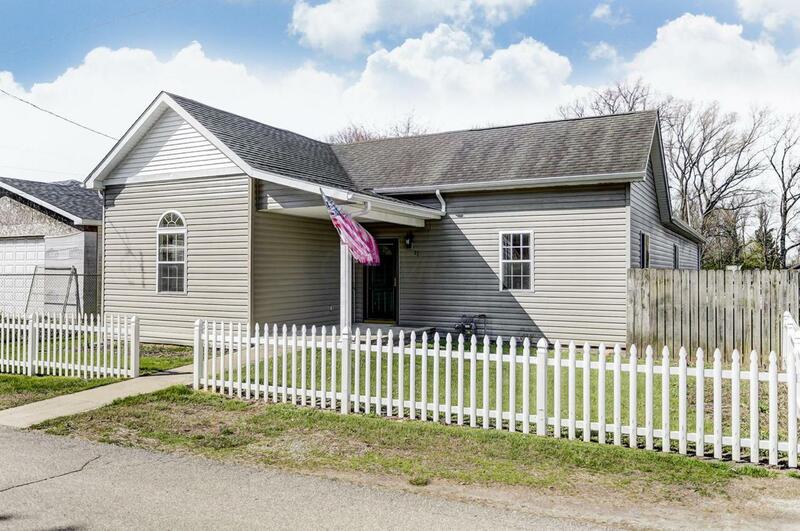 Spacious 1 level ranch offering 3 bedrooms and 2 bath. The 10 ft ceilings are breath taking! Master bedroom offers a jetted tub for two and a walk in closet with built Ins. Large kitchen with ceramic flooring with plenty of space for a sliding bar or another table. 2 1/2 car attached garage with plenty of space. Large walk out deck with partially fenced yard. Within 15 minutes of Yellow Springs and John Bryant State Park. A truly great starter home or a condo alternative. Cedar Cliff Lsd 2902 Gre Co.